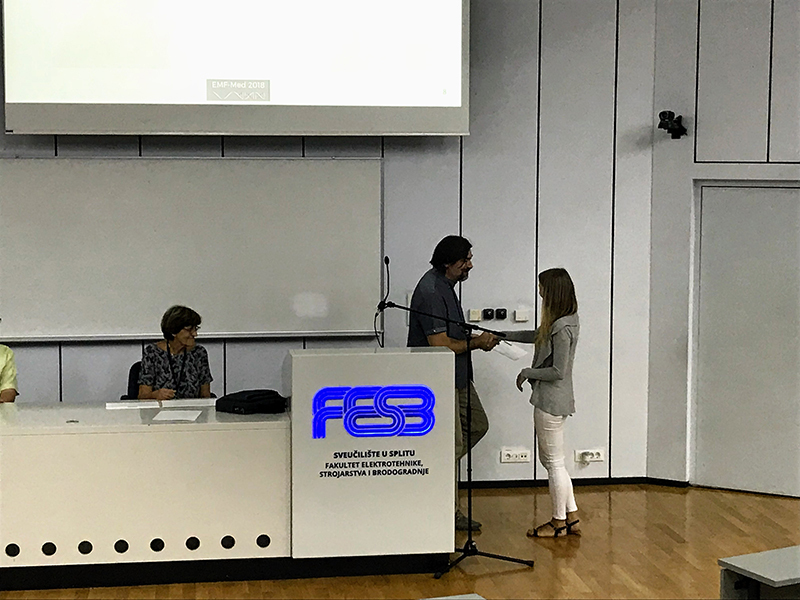 Tjaša Potočnik, a young researcher from the Laboratory of Biocybernetics, is the recipient of the Best Student Paper Award from the 1st EMF-Med World Conference on Biomedical Applications of Electromagnetic Fields that was recently held in Split, Croatia. The conference was organised as the final event of the COST Action BM1309. She was awarded in recognition of her work entitled Cell Membrane Permeabilization and Cell Survival After Electroporation in Acidic Media In Vitro, which she authored under the mentorship of Assoc. Prof. Alenka Maček Lebar. Scan of the award plaque.